Content insights powers up your market intelligence and your chances of surviving in the market. We’ve already drilled into the importance of content intelligence, and it became overwhelmingly clear that for something so important, companies are collecting market knowledge quite sporadically. As it turns out, marketing departments are the ones usually taking the lead on this. However, it’s no secret that almost every marketer already has more than they can handle on their plate. In fact, one study revealed that 88% of marketers would prefer spending more time on strategy as opposed to preparing reports and analysis. 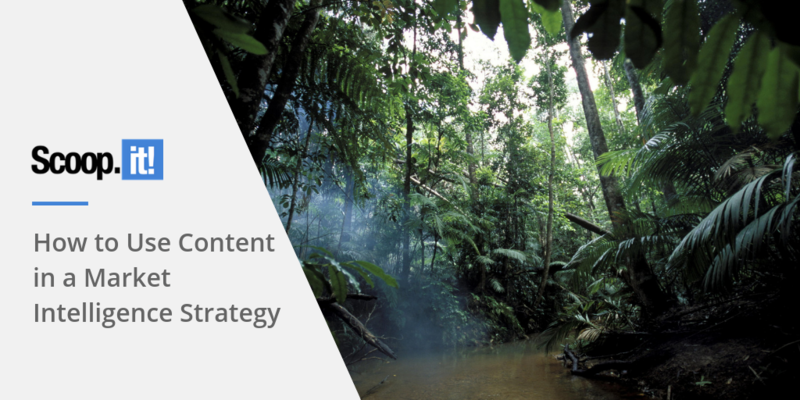 It’s easy to see how content insights that empower market intelligence get neglected in the pursuit of strategic work. However, when deep audience and market knowledge helps you create content with purpose, stand out in a crowded market, and grow your organization in a sustainable, healthy way, you can’t deny the benefits of diving into the data. From screening content on the web through to sharing knowledge privately, the role of content in a market intelligence strategy brings as many challenges as it does benefits. If that sounds familiar, you’re in the right place—let’s dive in. What’s standing between you and a well executed market intelligence strategy? Market intelligence is designed to enable a company to establish a foundation and define their positioning in a market. It can generate new business opportunities and often even help the company find a new, untapped angle in their niche. That is a bold set of goals to work towards, especially when you have a small marketing team that helps the entire company stay up-to-date along with their usual daily workload. Market intelligence involves a range of decentralized activities, since the access to relevant information is not controlled by an authority. Missing a key message proposes a real, everyday risk. 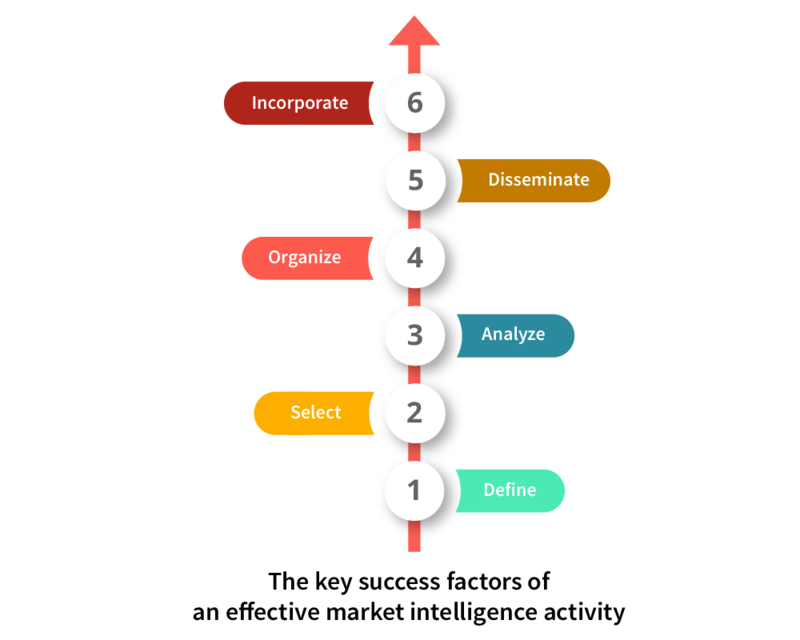 The solution lies in organizing and qualifying the most relevant information by using a set process. From defining goals through to building content-driven market intelligence into your company culture, here are the strategies that will help you reach your ultimate win of a well-informed organization. The first benefit to using content as part of your market intelligence strategy is the identification of your competitors. Your core, direct competitors are those that sell products and/or services that compete for the same customers as yours. Indirect competitors are those that might not have offerings that compete with yours, but nonetheless publish content inside your niche, on topics that your target audience cares about. Obviously, direct competitors should take the majority of your attention here, but you shouldn’t ignore anyone that manages to stand out with content on topics that are relevant in your industry. You can probably name your direct competitors in your sleep. But can you describe their particular market focus? This is where auditing your competitors’ content comes in extra useful. Based on their content, you will uncover specific audience segments they’re targeting, the way they are positioning key pain points and solutions, and much more. Diligently note down the topics, formats, and positioning they’re taking with everything on their website. You may track these details in a spreadsheet or a similar type of document and repeat for all your main direct competitors. Then, make sure you don’t miss any of their content elsewhere on the internet, including guest posts, up-to-date social media, YouTube and Vimeo, as well as press mentions. This might be a little harder to find, which is where the right tools can help. 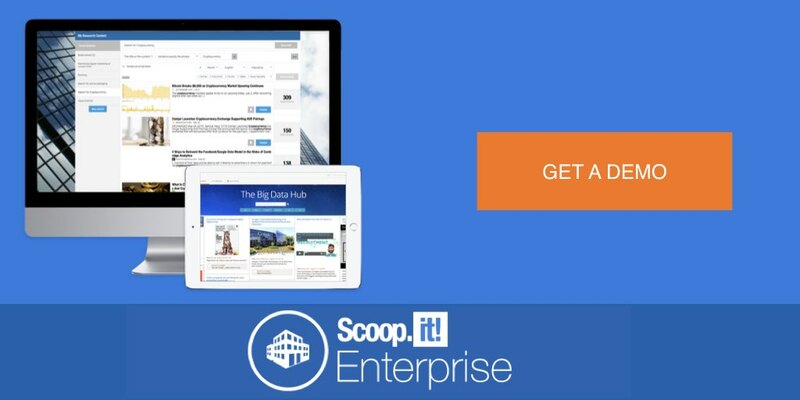 When it becomes too hard to identify the sources of content that either mentions your direct competitors or covers your most important topics in any way, you can use a feature like Scoop.it’s Research Content. 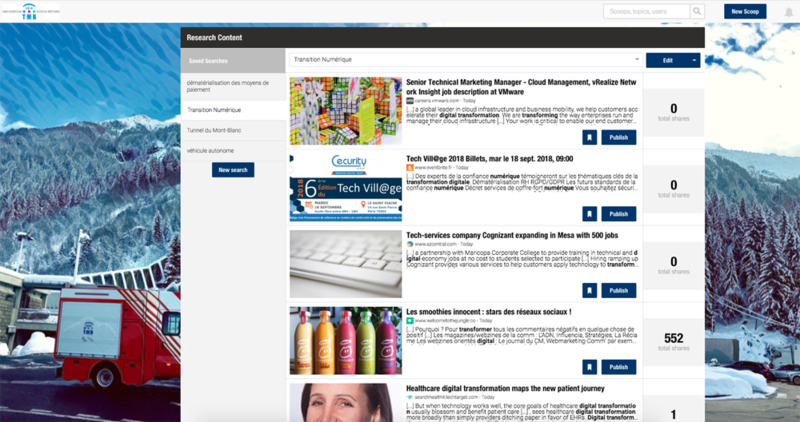 Research Content allows you to search by keywords and, more importantly, layer keyword rules. For example, you can search for keywords just in the title or the exact phrases in the content itself. You can use these to narrow your searches or exclude certain terms altogether. Furthermore, you can add further filters such as popularity, relevance, freshness, language, and even formats. This way, you don’t need to click through dozens of search results on Google or spend hours finding relevant content on YouTube. Instead, you can research relevant content in minutes, even if it wasn’t on your main list of direct competitors. After you have listed all the main components of the most relevant competitor content such as topics and formats, it’s time to understand how it performs and the impact it makes for the competitor. How often do your competitors publish content? 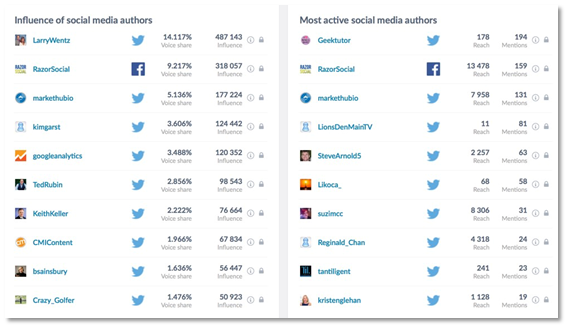 Which content gets the most traction? Where and how often do your competitors share their content? Who are the people sharing it and talking about it? Do your competitors offer gated content (i.e. behind an email subscription)? Is their content in-depth or only scratches the surface? Other than manually scouring your competitors’ social channels and newsletters, here are some of the ways you can identify this data. Use the ‘site:’ search on Google. 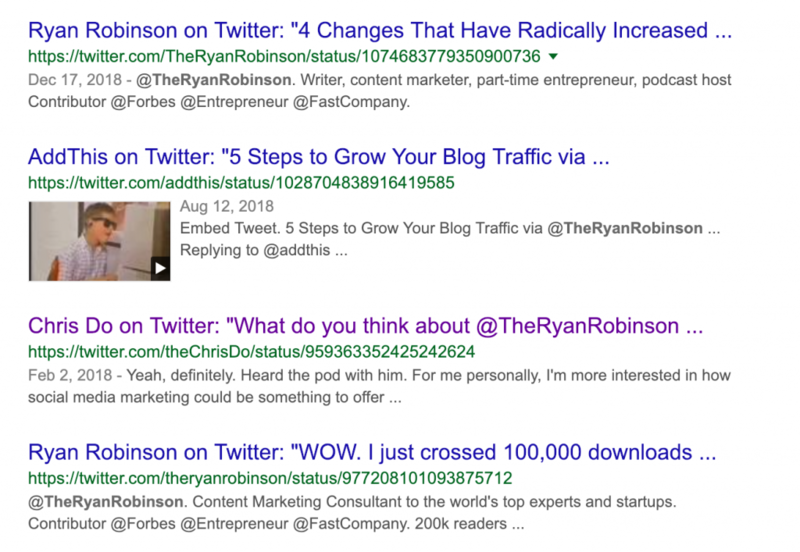 For Twitter specifically, you’ll be able to unearth some of the most impactful tweets both from your competitors and those that have mentioned them. Feels a little old-school, but within minutes, you’ll have exactly what you were looking for. Remember, this information only makes an impact if you relay it onto the key members of your organization. For example, what can your public relations team or person do with this knowledge? What about social media marketers and business development representatives? The more actionable the outcomes of your content intelligence, the stronger your whole company will become. …it feels like a task heavy with administration and light on value. This is exactly what we had in mind when we created Scoop.it’s collaborative knowledge sharing program. You can also identify which information from your content intelligence strategy is most popular, engaging, and valuable by monitoring participation in your knowledge sharing program. Finally, you can scale this process by integrating with key apps and solution you’re already using in your organization to make sure that crucial information reaches the right people at the right time. Remember, disseminating this information provides recommendations to key players within your organization. By turning content insights into market intelligence, you can help your business be more competitive, increase efficiency, and grow its position on the market. If you want to see how Scoop.it can power up these efforts, let us help and get a free demo of our software.